Style icon Olivia Palermo has opened up about what she wants to wear on her wedding day - but cancel your bets on a big dress. The former reality star, who is engaged to model Johannes Huebl after six-year relationship, won't be going for a 'cupcake' style, multi-tier dress. 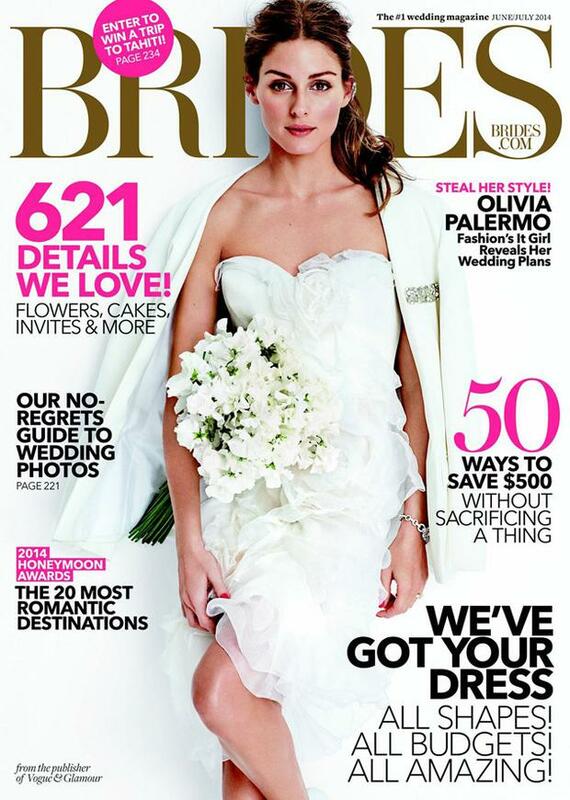 “First, I’ll consider what the venue is and what the feel is,” she told the current issue of Brides magazine. Palermo became engaged on New Year's Day and shared the exciting news with the world via an Instagram video taken by her beau. “I’m a visual person, so a video was our special touch. And we both love music, so it had to have a cool song," she explained to the glossy. She gushed about her husband-to-be and praised the fact that they work in the same industry as keeping them together. “We understand and respect each other, and we make each other better people,” she said.